Gallstone Ileus is an infrequent cause of mechanical bowel obstruction. It is caused by an impaction of a gallstone in the terminal ileum by passing through a billiary-enteric fistula (often from duodenum). It occurs more frequently in women with average age of 70 years. Clinical picture: Episodic subacute obstruction in an elderly female. Abdominal pain and vomiting which subside as the gallstone becomes disimpacted, and only recurs again as the progressively larger stone lodges in the more distal bowel lumen. Intermittent symptoms may be present for some days prior to evaluation. 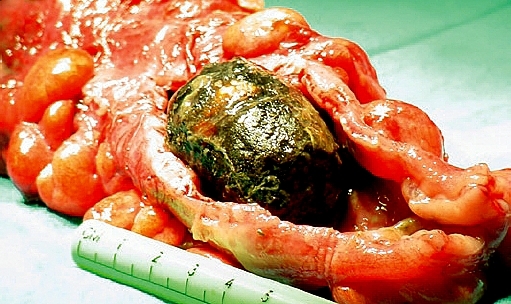 Hematemesis could occur as an occasional complication that is due to hemorrhage at the site of the biliary enteric fistula. Physical examination: The patient may be febrile and often appears dehydrated. Common abdominal signs include distension and increased bowel sounds. Jaundice is uncommon, occurring in less than 15% of cases. Many affected patients have serious concomitant medical illnesses, including coronary disease, diabetes mellitus or pulmonary disease. Treatment: First of all, as any kind of bowel obstruction, the objective is to relief intestinal obstruction after adequate fluid repletion. The options are enterolithotomy, cholecystectomy, and fistula division, with or without common bile duct exploration (one-stage procedure), with definitive repair performed at a second operation (two-stage procedure). The treatment of choice is the enterolithotomy wich consits in localize and extract the gallstone. Often the cholecystectomy is contraindicated by comorbidities and the general state of the patient. Case presentation: A 72 year old woman with heart faliure, hypertension and diabetes came to the office with a chief complaint of chills, abdominal pain, nausea and vomiting followed by inability to pass flatus 8 hours prior to consult. On physical examination the patient was febrile and appeared dehydrated. Abdominal exam: distension and increased bowel sounds. No jaundice. Labs: Hyperglicemia, mild renal failure, hypernatremia and leukocytosis. Radiographic tests: Abdominal plain film with signs of bowel obstruction and with not apparent cause, negative US. 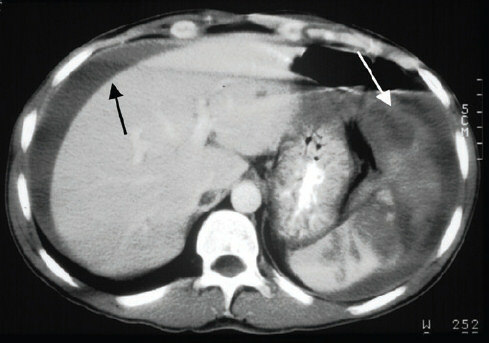 CT scan just with signs of intestinal obstruction, not pneumobilia, not obstructing gallstones. The following pictures are from different clinical cases. In Blunt Trauma the spleen and the liver are injuried in 40 and 20 percent, respectively. Peritoneal Lavage: Now just performed if you haven’t access to ultrasound (lack of money or lack of trained personnel). It’s indicated in specific cases, as in patients with cranial trauma, spinal trauma, for example. Look the blood in the syringe and the tube. This is a positive peritoneal lavage due to blunt trauma. 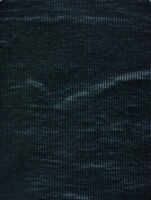 Ultrasound (a.k.a. 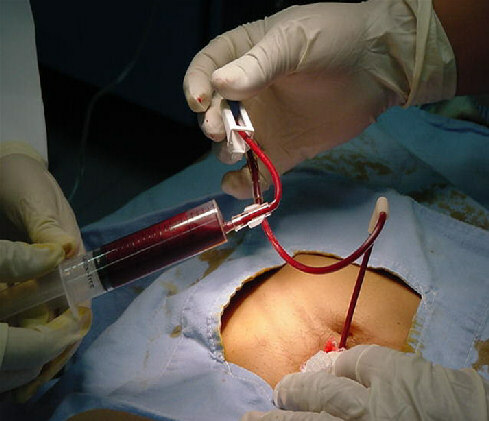 FAST or Focused Abdominal Ultrasound for Trauma): This is one of the most used techniques, and should be performed for those patients hemodynamically unstables who can’t go to the coputed tomography room. Look the irregular border. This is a positive FAST for hemoperitoneum due to blunt trauma. 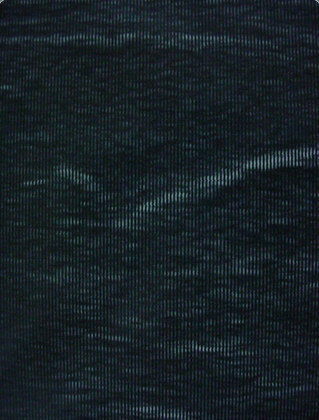 Computed Tomography: This technique has a magnific resolution for spleen, liver and vessels. Excellent evaluation for retroperitoneum. It has one inconvenience, hemodinamically unstable patients are not candidates for this analysis. 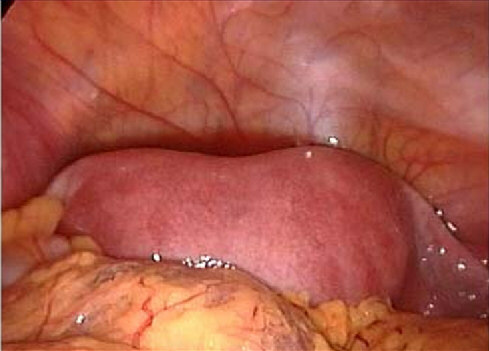 Diagnostic Laparoscopy: Almost never recquired. Look the blood in the abdominal cavity, this is a positive Laparoscopy for hemoperitoneum due to blunt trauma. The controversy is when the hospital is not capable of performing the standarized protocol in blunt abdominal trauma (economic reasons), we doctors have to adequate to the circumstances and do our best effort. 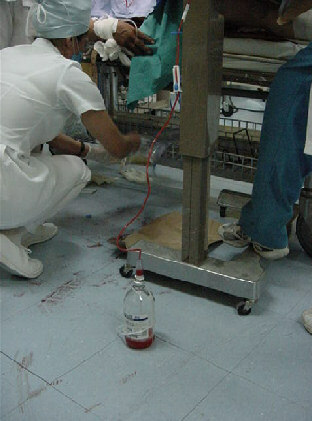 For example, the first two photographs (peritoneal lavage) were taken at the Mexican Red Cross where money is the big problem. The rest, were taken at the ABC Medical Center, a nice private hospital. This are the contrasts of healthcare system and medicine practice in developing countries. Here in Mexico there is a similar exam to the USMLE, who is proposed to select those medicine graduated into residents to get a speciality. This exam is called “Examen Nacional de Aspirantes a Residencias MÃ©dicas – ENARM” (National Exam of Aspirings to Medical Residences). This exam was on September 3rd and 4th this year, it consists in 700 multiple option questions, of wich 600 evaluate medical knowledge (clinical vignette questions), and 100 evaluate understanding capacity of english-based medical texts. The results was published yesterday. There were 22,985 aspirings for 4,299 vacant places in 22 specialities. That give us a number of 18.7% of selected residents-to be, of the total population of aspirings. That’s sounds BAD. I don’t know the facts and numbers of the USMLE, but i think it’s much easier to get a residency at USA, by far. Congratulations to all my dear colleagues that had approved this important part of our careers. I’m very proud of you guys!